DOMESTIC GODDESSES: Mini cup cakes for a truly inspired Domestic Goddess! Mini cup cakes for a truly inspired Domestic Goddess! Cup cakes have never been my thing. Well, cake in general is not really my thing, but cup cakes especially are sooooo time consuming to make, and gone in seconds. Last year a very dear family friend passed away and she just LOVED cup cakes. She was a larger than life character, bold and dynamic. 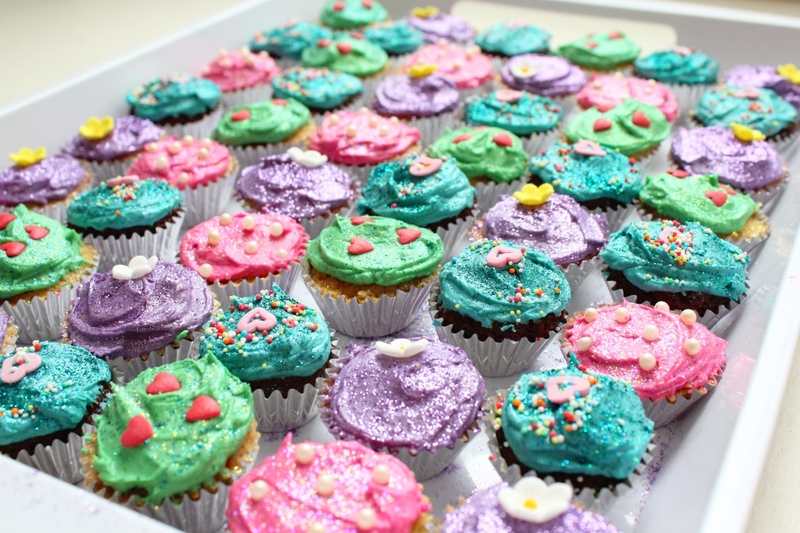 When my aunt called to ask me if I would make some cup cakes for the wake I headed straight to The Baking Tin and bought the brightest food colourings, edible glitters and toppings I could find. There are some family members who are gluten intolerant so I decided to do one normal and one gluten free cup cake. 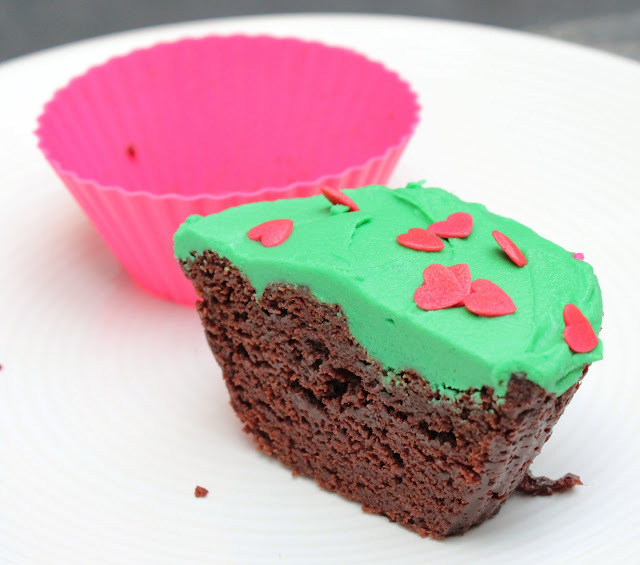 The gluten free cup cake was easy as I had that in the cupboard already, a Bob's Red Mills gluten free brownie mix. I just whipped it up and piped into the mini cup cake papers. The other cup cake I improvised on. I used my vanilla cake recipe and added ground hazelnuts to it. Once they were baked I cut little cones out the top of each cake and piped in some salted caramel. The brownies were moist enough and didn't need filling. I made a batch of butter cream icing, divided it up into bowls and whacked loads of food colouring into each one. Then the fun began with glitter and sprinkles and balls and hearts and flowers! I think Lee would have liked them. I am not a huge advocator of instant cake mixes but this mix was very worth while. While being gluten free it doesn't compromise on flavour or texture. It is super moist and chewy with a rich deep chocolaty taste.